Unicorns, can animals be angels? no, not unless they have reached enlightenment. However, Unicorns are the closest. I say with the levels of innocence that animals have, that they are like little angels in our world. I used to say that about children, until the world, society, and parents, started to corrupt them. Television, videos games the music, even society as a whole, has taken the innocence from children. They no longer hold on to the goodness, as they are raised in a world of greed, sexual immorality, and vanity. Those who still contain their innocence, I help. Without having someone to send them healing, or to encourage their parents to help them spiritually, they too, will end up changing with the rest of the world. The worst thing to do to a child, is dismiss their sensitivity to spirit, or to the world itself. Unicorns, they are the spiritual guardian of many children. Unicorn, have been guardians, for a long time. They are not permanent guides, for the most part. Some are, but mainly the leave at the age of nine years old, as the soul will be transitioning from child, into their young adolescent years. The imagination is still there, but the awareness of this world is so embedded, that children often confuse things, with being directed towards them. They will develop an opinion of the world. Innocence includes, an ability to see only the good in life, being blind to faults.. Optimism, is all that innocent people exhibit, until awareness of their individuality drives them into seeing their faults, and the faults of others sets in, from peers and even from parents who may put their children down. Observing adult life from the eyes of a childhood, also ruins the innocence. Unicorn will be with many children, invisibly behaving more like a guardian, than a spiritual guide. Unicorns also act as advisers to incarnated angels, and advocates for the Wise Ones, in the spiritual realms. Wise Ones, will be a subject for the future. There are so many spiritual beings out there,in the unlimited space of the dimensions, sub planes, and the many realms within them. They never speak though. Having a unicorn guardian or adviser, is having a magical being who acts as a mirror to the soul who has one. The soul will speak their thoughts, and they will reflect off of, or bounce, off of the Unicorn and back to them, with the answer. The answer comes through the person’s bouncing thoughts off of the Unicorn, as they are silent beings, but full of a great wisdom, which transmutes the information that the soul is speaking, into true depth, that comes back to them, as their own thoughts. When someone has a Unicorn as spiritual guardian, they will have a lot of rainbow sparkles of light, sparkling in the air, all in one place. They would see rainbow colors, like blue, red, pink, white, yellow, and purple, glittering in and out of existence, in a small area near the person’s aura. They will also see outer sparkles of gold. I had a few clients, who brought their children to me. A few, claiming psychic abilities themselves, told me “I believe my child is a rainbow child, there is rainbow colors in the aura”. I told them, “That is not what happens in a rainbow aura, but we’ll have a look. I already knew what it may be, but there is always a need for verification. Sure enough, a few of them had Unicorn guardians, and the others, a lot of fairies who were of all color rays of light. The Unicorn always had a profound message for the child who, ended up being the psychic, and not so much the parent, as they had hoped. The child had need to realize, that their fears were not from “bad dreams”, but their ability to see spirit. They needed help in understanding their gifts. I always suggest for a parent, who is not going to invest in training, to at least have the “sight” shut off. This way it does not traumatize the child, as it did a bit for me, when I was small. It’s hard not having anyone who is truly interested. My parents did not get around to helping me until I was 9 years old, and they went about it the wrong way, until I was 12. Dad dismissed most of my ghostly visitors, thinking that it may be help me to try to not be afraid. Later, when they saw the totality of my gifts, they sent me to Tibet with my Uncle, who was a minister. That helped me get things in order, through the transcendental meditation that was instructed there. My Unicorn guide had implanted the idea for me, within my Uncle and Father. Unicorns will do the same for their children whom they guide. They will do all that is necessary for the child to grow. They hold strong magical powers, especially in making wishes, and dreams come true. Those wishes come when least expected. I also know of Unicorns as beings creatures, who heal immensely. They have the rainbow rays, and rainbow can be reverted back into pure white light. Their healing is soothing, and very comforting. it is hard to find a Unicorn to work with in adult years though, unless you have had one assigned to you since birth. Having the Unicorn, through out your life, will had meant many wishes coming true, deep wisdom being analyzed from within. In granting wishes, the lucky recipient of the Unicorn guardian, will always have their needs met, and they seem to attract a lot of good luck. I have always known the Unicorns to speak by their own language to one another. They have a quiet communication telepathically. Although they help people whom they have charge over, by using their own thoughts and interests, fears, and ambitions, they have their own language of light. If you ever see a fairy soul, and a Unicorn together, it is a silent connection. I always liked the movie “Legend”, with Tom Cruise. Because my grandmother who was a psychic, she loved these beings. She was not an angelic soul, so she looked into the contrast of dark and light, elves, and other things of that nature. But she knew I was an angel, and always bought angel figurines for me. My cousin got fairy figurines, so I think Mom-Mom thought that she was a fairy, but she is not.. The others got other stuff, like a Unicorn, or something Christian. Watch movie here.. It has a figure in the movie that frightened me half to death as a child, but otherwise, it was pretty good. Too close to things i have truly seen though. It just goes to show, that some of the writer’s in Hollywood, knew their stuff. Tom Cruise, a huge figure in Scientology, would never have condoned his role in such a film, unless he knew the writer to had been someone with power. .The Movie is all about the power of the Unicorn Horn, and the two forces of duality who seek it for their own agendas. even the most purest, corrupted by the horn’s power. The rulers here, use powers to open the portals, to enchant people, thoughts, actions, and more. The overall idea of the movie is based on fiction and fantasy, but holds a bit of truth behind the mask of it being fantasy.. The Unicorn is a being who holds the most power in the spiritual worlds, next to Wise Ones, and Angels in higher planes..
All spiritual entities crave this type of power. This is why the Unicorn is so hidden. It is difficult to channel a Unicorn, as they have to have absolute trust in the person to appear. 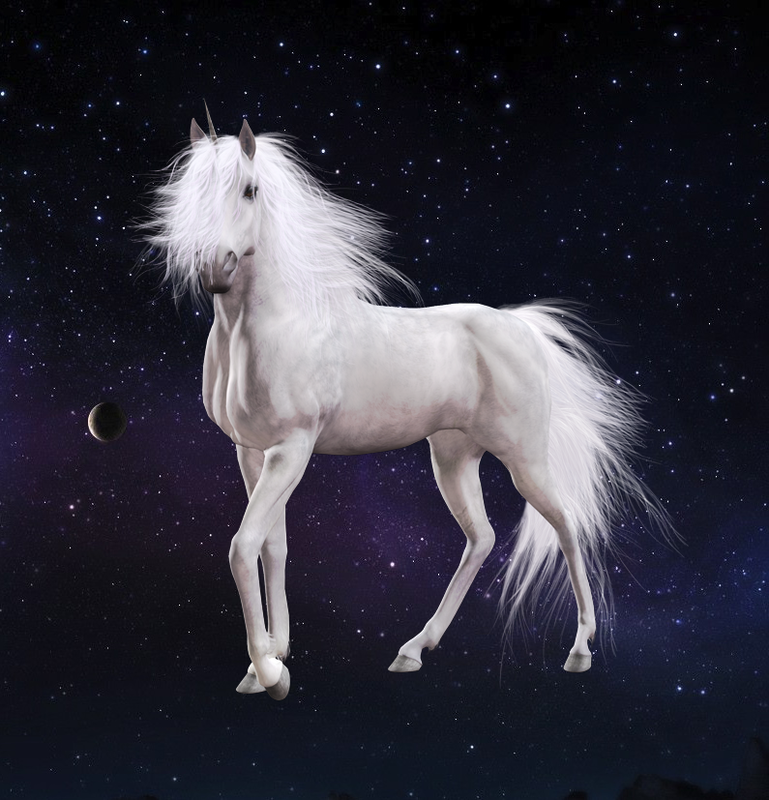 The Unicorn as real as it is spiritually, also has a rich symbolism to them. The one horn was created to show how powerful the third eye can be for beings who contain huge essences of magical abilities, have tons of third eye power. In the brain, there is an area which is represented by horns. However, with the Unicorn, it represents something else. Not only the third eye. We’ll leave that for later. in the meantime, the Unicorn is a symbol of true wisdom, power, and magic. They represent occult wisdom, and the magician who has mastered his skills. This beautiful creature has allured people for ages. Qilin are the Unicorns of Chinese interpretation. They were more of less dragon like, not a horse, and had only one horn in the center of the forehead. They were revered as well, there in the ancestral past of ancient China. They were said to be great warriors that emperors could rely on, to burn down the villages of their locals who were against the ruling King. In Japan, they called it the Kirin. 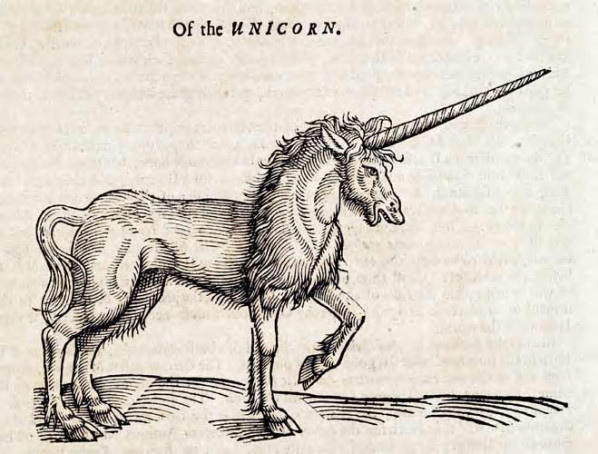 In Norse belief, the Unicorn was neither dragon nor horse, but instead a one horned sea creature called the Narwhal. For Odin, he had given Thor his son, a narwhal to ride the sea, with the sea faring men, the viking raiders. This was to be able to travel the sea with them at great speed, and unseen below. The magical horn made it possible for Thor to breath under water in his voyages. 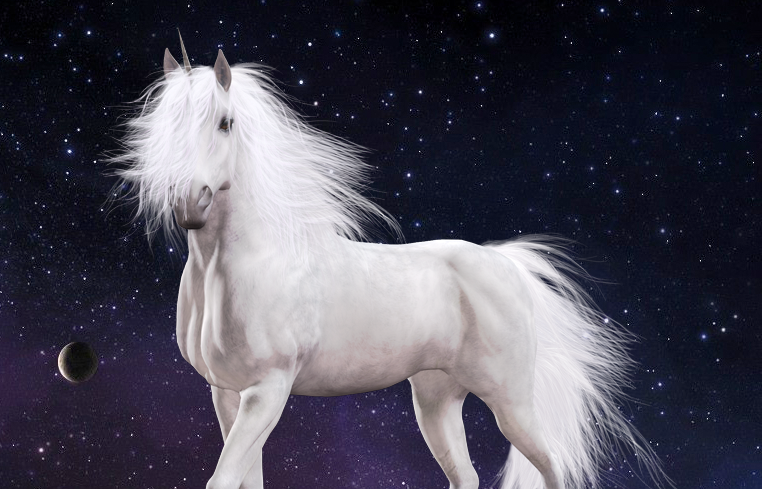 In the Celtic beliefs, the Unicorn was a wild white horse, with one horn, the traditional Unicorn. However, they were not large horses in this legend. They were actually a lot smaller, fox like in size, and had very long fur like a white fox. I know that there are beings like that out there, only they are not called Unicorns. They had a longer name in ancient Gaelic and called them Aonbheannach, pronounced as (Aine-Vanna). It is beautiful, and it is a part of family ethnic tribes of the Kings of Connacht. Even in Christian and Jewish mythology, as well as the Bible, mention Unicorn. There were a few references on them in there as a matter of fact. In the King James version, I believe it is the text about 8 or 9 times, in the following verses, Deuteronomy 33:17; Psalms 22:21; 29:6; 92:10; Numbers 23:22; 24:8; Job 39:9,10; and Isaiah 34:7). However, they tried to cover it up, by translating the word to fit their trying to keep this wisdom secret. Unicorns were tortured by mankind in their days here on Earth. I can not believe how cruel mankind can be. To me, hurting a Unicorn, would be like murdering an innocent child. It should be atoned for. So, with all of these versions of the Unicorn, which is correct? All of them.. In each place, there lived a different creature whom had one horn. to the African tribes, they called theirs, the Okapi. The Bible was written close by in Egypt, by Moses. However, theirs was totally different. Deer like, with one horn in the center, for that region, is the Okapi. The Okapi did not have magical powers though. However, many species roamed the earth in those days who did have magic, many who have faded into the fairy tale scheme. There were horses who had one horn as well. White, and some small, some large. In the truth of the Unicorn, you will find that the many cultures around the world, the Unicorns is depicted differently. With that being said. the Unicorn was taken to their own spiritual plane like other magical beings. There are many similar forms but not of the horse species. I will go into those later on, in the future. Science doesn’t always get it right. For example, they believed dinosaurs to be large reptiles, when they had feathers and were more like enormous birds instead. feathers.jpgAnd having feathers meant that for centuries, man had it wrong. They have it wrong in many ways. many bones have been dug up in sites around the world, but no one seemed to figure out what they truly were. Look at the image below. It seems that have found a Unicorn, and they would have been very large too The scientists did not accurately reveal what this beings was. They say it is a Tsintaosaurus. A dinosaur who roamed the earth, a very long time ago. They have that mixed up too, because if the Bible writers were there to witness it, it means that Unicorns existed and they are covering every ounce of it up. This creature, is what a Unicorn skeleton looked like. The sol and image if the being is now on the other side of the veil, in a realm all their own. The remains now, are found in skeletons found and hidden or in the Legends. That is all that this world holds of these beings now.. I feel like imagination, belief in the impossible, and the spiritual aspect of things, is being replaced with Science. Science has everything to do with this, but you can not have one without the other. What’s worse, is that they are defiling this being by the way they are covering up. 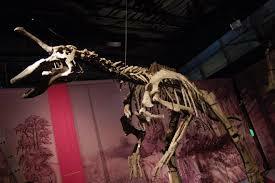 Look at the below picture of the Tsintaosaurus, do you see the subliminal image? That is horrible. But it’s what they do… many have twisted and warped so many truths out there, and made things that were once innocent, into terrible things for the mind. Unicorns are definitely one of them. I have seen so many things on Unicorns and other things that are pure, out there, that my heart breaks a little each time. Bit none the less, what we do counts, and I hope you enjoyed this article. Halloween Special Test: What Type Of Witch Are You? 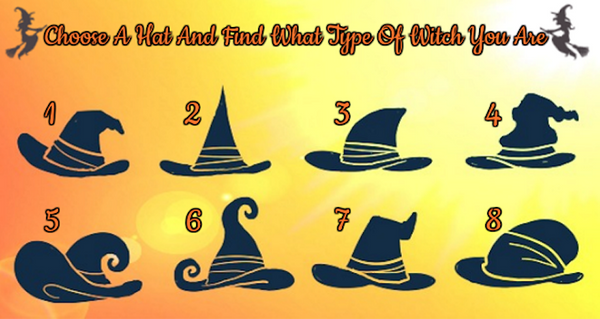 Simply relax and choose the hat that attracted you first and we’ll tell you what type of witch you are! Most world religions have beliefs regarding the afterlife. 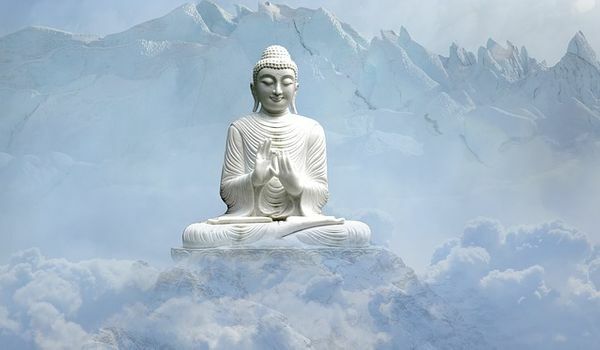 However, what Buddhists believe happen when we die is uniquely beautiful. So, what does buddhism say?